Does your Southampton bathroom suite need a complete revamp? If you want a diverse selection of luxurious bathroom suites in Southampton at affordable prices, look no further than BST Bathrooms. We offer our customers the best bathroom suites Southampton has to offer and will fit all bathrooms to the highest standards in the industry. As a company, we pride ourselves on offering our Southampton customers a varied selection of bathrooms suites for their Southampton suite. No two homes are the same, which is why we offer a range of suites that can be customised to suit your tastes and homes. We allow our customers to choose the following: sink, bath, shower, cabinets and other bathroom accessories. Besides supplying ready-made bathroom suites to our Southampton customers, we will provide upon request a bathroom suite design service. So if you have always envisioned a dream bathroom for your Southampton, now is the chance to realise that dream bathroom. 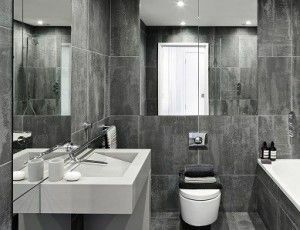 We pride ourselves as a company on our flexibility, and we are available 24 hours a day, 7 days a week to work on your new bathroom suite in Southampton. When you choose our Southampton bathroom suite installations service, we will provide a fixed quotation on all works. Any changes to the fixed price quotation will be agreed in advance before the works commence on your property. View examples of our previous bathroom suites here. For the best bathroom suite in Southampton, call 023 8045 3112 or 07968 347 241 today. Have you thought about refurbishing your bathroom? 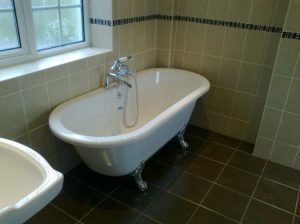 Don’t put up with your tired bathroom for much longer and refurbish your bathroom in Southampton with BST Bathrooms. With 20 years of experience in providing a bathroom refurbishment Southampton service, we have renovated bathrooms of all sizes in Southampton. Despite being hidden away, the bathroom is a key room in any home, and you deserve a luxurious bathroom crafted to your needs. There’s nothing better than unwinding in a relaxing bath after a hard day’s work. Our bathroom suites are unmatched in Southampton in terms of pricing and quality. We take care of every little detail in a bathroom refurbishment in Southampton from tiling to shower installation to plumbing and many more. If you have a vision for your bathroom that you want to bring to life, look to BST Bathrooms today. If you are hard pressed for time or don’t have the skills to refurbish your bathroom, you will need BST Bathrooms. We will take care of all the details and make sure that your bathroom is refurbished to all of your requests. Don’t take the risk of a DIY bathroom when you can invest in assured quality today from BST Bathrooms. If the bathroom refurbishment Southampton service you need for that new bathroom hasn’t been listed, please do not hesitate to contact the team today. Deciding which company to choose for your Southampton bathroom refurbishment needs is difficult. On the face of it, every company appears to be the same offering the same prices but at BST Bathrooms we pride ourselves on being a little bit different and going the extra mile for our Southampton customers. When you choose BST Bathrooms, you will not have to hire separate tradesmen as we cover all areas. This will ensure that your Southampton bathroom refurbishment project is completed on time. 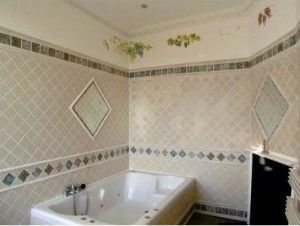 View previous examples of our bathroom refurbishment in Southampton work in our gallery. Contact BST Bathrooms today for an unbeatable Southampton bathroom refurbishments service. Renovate your bathroom with our excellent bathroom design Southampton service today. We have over 20 years of experience in the industry and renovated bathrooms of all sizes. Look no further than BST Bathrooms for your complete service today! Our company is the leading provider of Southampton bathroom design. 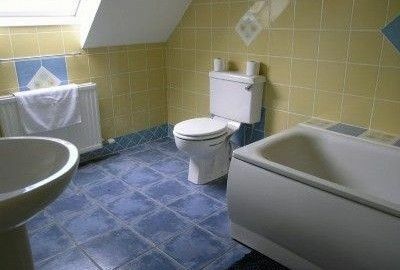 We have established a superb reputation for renovating bathrooms to a high standard. Regardless of your bathroom size, we can refurbish bathrooms of all sizes. So if you have been putting off refurbishing your bathroom due to lack of space, this will be a thing of the past with our expert design services. In many households, the bathroom is neglected despite being used frequently through the day. At BST Bathrooms, we believe that the bathroom is more than just a place to wash and clean yourself. A bathroom is a place of tranquillity where you can unwind after a hard day’s work in a deluxe bath or treat yourself to an invigorating power shower. We will customise all designs to meet the needs of you and your household. If you desire a particular feature that has not been listed, please do not hesitate to get in touch with our design team today. We have the skills and expertise to design bathrooms to suit every customer. We also provide a full fitting and installation of pre-purchased installation suites from all DIY stores, manufacturers, and suppliers. We have over 20 years of experience in providing an unrivalled Southampton bathroom design service for homes of all sizes. So whether you require a complete renovation of your bathroom to the installation of new showers, we are the company to choose. We have the skills and expertise to consider all jobs from bathroom renovation projects and more. Our team are available to work on your bathroom on a 24/7 basis. You can be assured that we will work hard to complete your project to the set deadline. When we provide a quotation, it will be for free and will be a fixed price. Our quotations will only change with added work and with your agreed permission. Visit our gallery today to view previous examples of our bathroom design in Southampton. 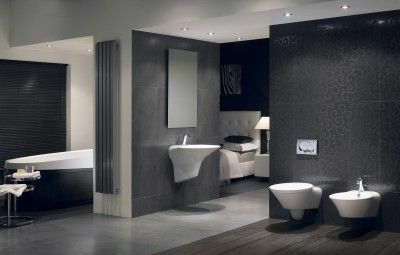 Call BST Bathrooms on 023 8045 3112 for the best bathroom design Southampton has to offer. Do you have a bathroom that is stuck in the past? Update your bathroom today with BST Bathrooms as we stock the best bathroom suites Southampton has to offer. Our modern and contemporary suites will add that wow factor to your bathroom. At BST Bathrooms, we are dedicated to providing a service that will revitalise your Southampton bathroom suite. All of our bathrooms are luxurious products that will add a sparkling finish to the end product. Who wouldn’t want a tailor-made bathroom where you can unwind after a hard day’s work? We have a huge selection of bathrooms suites to suit all tastes and bathroom sizes. So whether you want a complete renovation of your Southampton bathroom to just a refit of accessories like your shower, BST Bathrooms services will be tailored to meet your needs. We also provide additional accessories expected in bathrooms like radiators, towel racks, wall-hung furniture, sinks, toilets, and many more. If you need a particular service or accessory, please do not hesitate to get in touch with the team. BST Bathrooms has been providing excellent bathroom suites in Southampton for over 20 years. Our team are fully qualified and years of experience in their respective areas. Therefore, you can expect all services provided by our company will be nothing less than high-quality. We consider all bathroom jobs, and we will work hard to ensure that we bring your vision of a perfect bathroom to life. All jobs are considered from small to large projects. Our team are on hand to help you on a 24/7 basis. 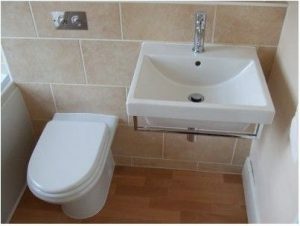 BST Bathrooms also offers customers competitive prices on all bathroom suites in Southampton to ensure that you benefit from our wonderful bathroom service. 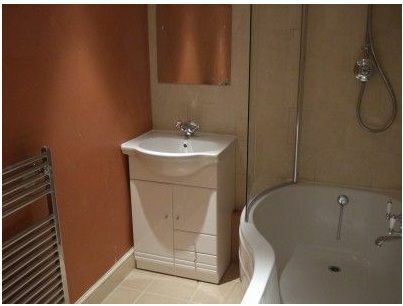 View our gallery for previous examples of our bathroom suites in Southampton. Get in touch today to find out more about the construction of your new bathroom suites in Southampton. Call BST Bathrooms today on 023 8045 3112 or email info@bst-bathrooms.co.uk. BST Bathroom fitters are a highly motivated family run company, having over 20 years of experience of bathroom fitting in Southampton. We have many satisfied customers in Southampton and the majority of our work comes from these customers recommending us to others in the Southampton area. Our aim is always to supply the highest quality fittings that provides you the best value for money based on you budget. and accessories with the assistance of our friendly design and fitting expert on site. They will help you redesign and plan your bathroom and give you a ”down to earth” on the spot price for your installation project. 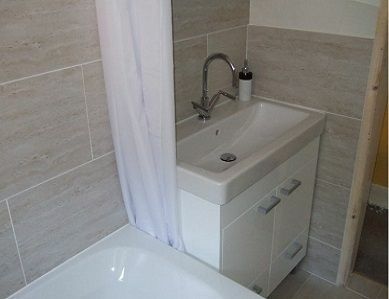 BST also specialise in fitting wet rooms and under floor heating in Southampton. These are bathrooms where the shower area is level with the floor as a result there are no steps up or down to the shower. This will allow you freedom and ease of movement from shower to floor. Having a shower room fitted is now more popular than ever, it can be an ideal solution to limited space. Showers are faster, cleaner, use less water and take up far less space than a bath fitting. BST work with home owners and local authorities, to design and install bathrooms for disabled users. We Incorporate a range of products which are designed to improve usability and safety, our disabled installations are to the highest quality standards in properties throughout Southampton. You can Contact BST and we will provide a free, no obligation consultation for Bathroom fittings in Southampton and surrounding areas. 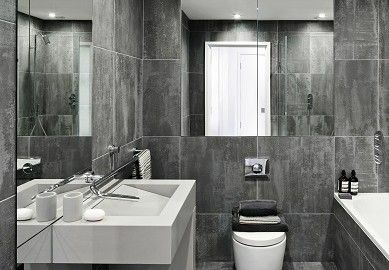 A fitting expert will visit your property in Southampton and assist you with the redesign, allowing you to select all of your favourite accessories, to make up your ideal bathroom. They will then be able to provide you with a “down to earth” on the spot price. When you have chosen your bathroom, BST have qualified and experienced fitters, that will be able to install your fitting, Southampton is an area in which we have provided many installations and you would not have to look far for someone who would recommend BST. Eastleigh, Netley Abbey, Hedge End, Romsey, Cadnam, Totton, Bishop’s Waltham, Nursling, North Baddesly, Bishopstoke, Fishers pond, Durley, West end, Burridge, Swanwick, Titchfield, Warsash, Fawley, Blackfield, Holbury, Beaulieu, Dibden, Hythe, Marchwood, Lee, Ashfield and the surrounding Areas.